2. Online Services and Disclaimer of Warranty.  The GYBITG website provides online resources including, but not limited to, online information regarding GYBITG services, image gallery, contact information, and company biography. Any new services, resources or informational content added to the website shall fall under the terms of this TOS Agreement. GYBITG assumes no responsibility for any data loss or other loss suffered by any User of this website. The user is fully responsible for maintaining its computer equipment and Internet access to use the GYBITG website. The online resources, informational content, and software on this website is provided “AS IS”, AND ALL WARRANTIES, EXPRESS OR IMPLIED, ARE DISCLAIMED, INCLUDING, BUT NOT LIMITED TO, ANY IMPLIED WARRANTIES OF MERCHANTABILITY, MERCHANTABILITY OF ANY COMPUTER PROGRAM OR SOFTWARE, FITNESS FOR A PARTICULAR PURPOSE, ACCURACY OF INFORMATIONAL CONTENT, OR SYSTEM INTEGRATION, OR NON-INFRINGEMENT. interfere with the operation of GYBITG’s web servers or other computers or Internet or network connections. 4. Indemnity. You agree to indemnify and hold GYBITG, and its subsidiaries, affiliates, officers, agents, co-branders or other partners, and employees, harmless from any claim or demand, including reasonable attorneys’ fees, made by any third party due to or arising out of content you submit, post, transmit or make available, your violation of the TOS, or your violation of any rights of another. 5. Hyperlink policy. The GYBITG site may contain hyperlinks to other Internet sites not under the editorial control of GYBIYG. These hyperlinks are not express or implied endorsements or approvals by GYBITG, of any products, services or information available from these sites. 6. Intellectual property rights. User agrees not to copy, reproduce, duplicate, sell, distribute, license, or create derivative works from any of GYBITG’s copyrighted or trademarked material, including graphic files, photographs, and software, on the GYBITG website. 7. General Terms. This TOS Agreement constitutes the entire agreement between you and GYBITG in regards to your use of the GYBITG website. This TOS Agreement shall be governed by the laws of the State of Wisconsin. User agrees to submit to the personal and exclusive jurisdiction of the courts located within the county of Dane in the State of Wisconsin. The failure of GYBITG to exercise or enforce any right or provision of the TOS shall not constitute a waiver of such right or provision. If any provision of this TOS Agreement is found by a court of competent jurisdiction to be invalid, the parties nevertheless agree that the court should endeavor to give effect to the parties’ intentions as reflected in the provision, and the other provisions of the TOS Agreement remain in full force and effect. Any claim arising under the terms of this TOS Agreement must be brought within one (1) year after such claim or cause of action arose or be forever barred.